Watch this video for a quick overview of Gen i Revolution (45 seconds). We are excited to announce a new partnership with Working in Support of Education (w!se) connecting Gen i Revolution to the w!se Financial Literacy Certification test. Now teachers can use Gen i Revolution to prepare their students for the w!se Financial Literacy Certification test; students who pass the test become Certified Financially LiterateTM (CFL)! To help students with test preparation, participating educators will also receive w!se’s comprehensive teacher’s guide, optional pretesting and access to w!se’s online database of practice test questions. Click here for a full breakdown of how Gen i Revolution aligns to the topics on the w!se Financial Literacy Certification Test. 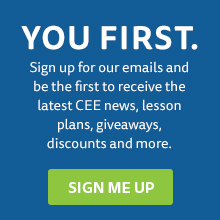 All missions are aligned to CEE’s National Standards for Financial Literacy and can be played in any order, depending on what the teacher is teaching. 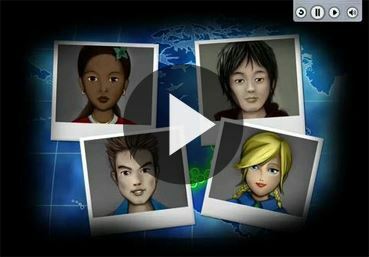 The game is also enhanced by its companion resource for teachers – Learning, Earning and Investing for a New Generation (LEI) – which includes 21 classroom lessons in personal finance. For teachers who would like to learn more about how to bring Gen i Revolution into their classrooms, we’ve developed a series of webinars linked below. Join Director of Educational Technology John LeFeber as he defines and explains the ins and outs of Gen i Revolution. Fully utilize the power of Gen i Revolution’s teacher tools by watching this 30-minute webinar! Gen i Revolution has been used by more than 225,000 students nationwide, with meaningful results. Students who used Gen i and LEI have demonstrated statistically significant gains in knowledge of, comfort with, and attitudes toward personal finance concepts. When compared to a control group, students’ knowledge increase was 65% greater when using Gen i, and students’ changes in attitude were also positive – 92% of student responses reflected a positive change, compared to only 8% for a control group.